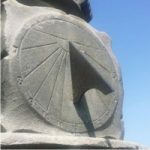 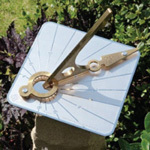 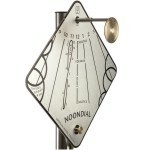 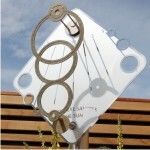 Customers and browsers at Damhead Nursery have found a new display of strikingly contemporary Scottish sundials on show among the garden plants today. 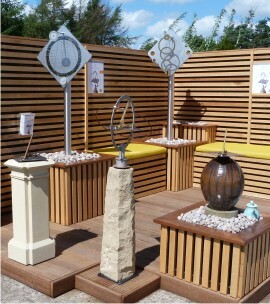 Alastair Hunter has brought his sundial show stand to Damhead after its eye-catching successes at the Royal Highland Show and the Scottish Game Fair in June and July this summer. 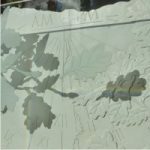 The display will remain in place until the end of August. 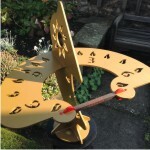 Damhead Nursery is just south of Edinburgh—on the fringe of the town you might say, since the sundials display has opened on the same day as the town’s Edinburgh Festival Fringe! 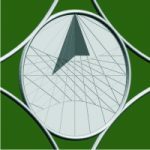 Open Monday to Saturday with a late-night Thursday. 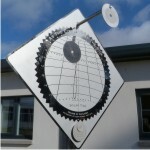 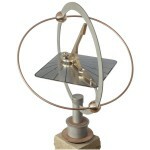 This entry was posted in News, Sundials on August 2, 2013 by Alastair Hunter.